Peacock has some bling to it! Bright greens, blues, and reds make up the feathers, accented by metallic gold. 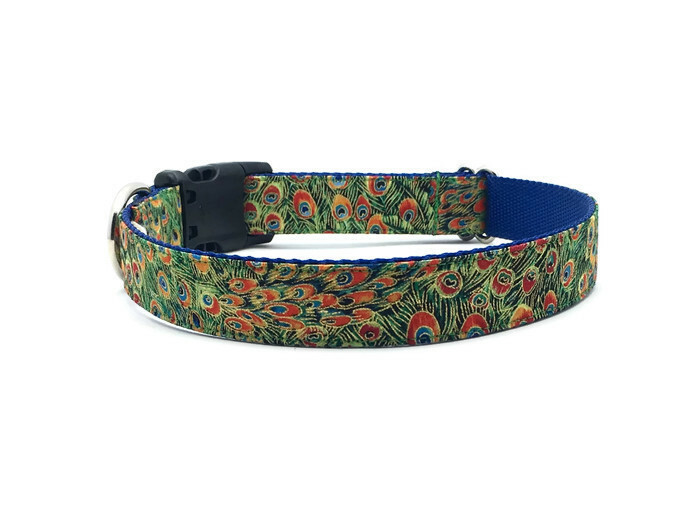 This design has limited availability and is not available in a leash or bow tie.